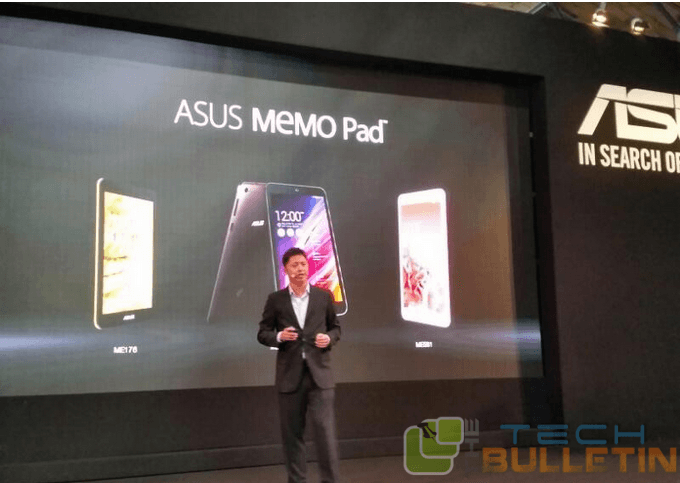 Asus has launched new MeMO Pad 7 dubbed as ME752C on the sidelines of the ongoing IFA 2014 at Berlin. For this tablet, Asus is using the different Intel Atom CPU with the 64-bit quad-core Z3560 processor locked at 1.83 GHz. The screen resolution has been increased to 1920 x 1080 from 1280 x 800 by its predecessor. It offers the good performance with its four 1.3 GHz core processor without draining the battery life. It packs 2 GB RAM along with 16GB/32GB internal storage. It runs on the latest Android 4.4.2 KitKat OS and features the Zen UI. It sports 5 MP rear camera and 2 MP front camera as well. The rear camera comes with the auto focus and the ability to record the HD video in 720p. It offers SD card support and it comes in two versions, one is Wi-Fi only version and it is accompanied by an LTE compatible version. LTE version is slightly heavier than the Wi-Fi version, where the former is 279 grams and the later weighs 269 grams. It features the fiberglass design with the duralumin frame, which the company claims that it is inspired by “clutch bags and wallets”. It is all set to launch later in this quarter and it is expected to available from $260 (€199). It comes in three different colors Red, Gold and Black. Asus yet not released any information on when the tablet is exactly launching and also not details regarding the price. Asus has also launched the Zenwatch smartwatch alongside the Asus MeMO Pad 7 on the side lines of IFA 2014.